Many thanks to lifelong Rutherford County resident Judy Adamson! 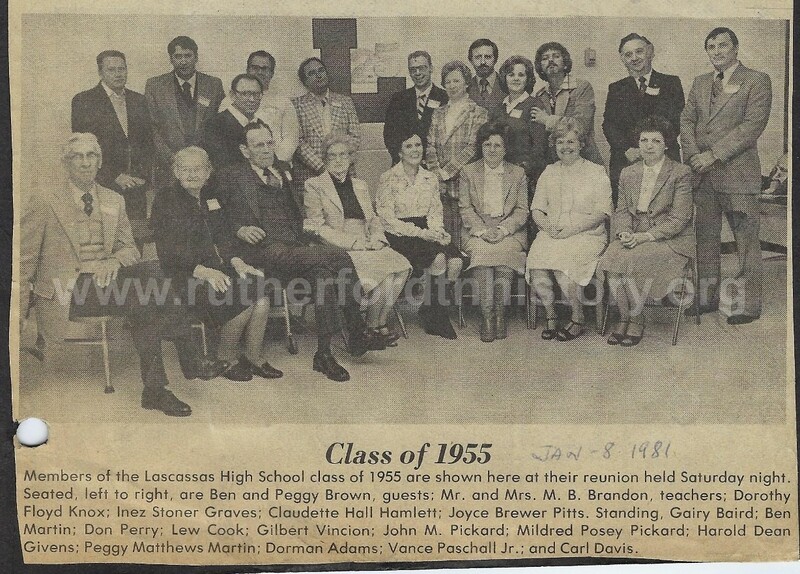 The 1956 graduating class of Lascassas High School, along with the class of 1955, held a reunion at the school (ed. Lascassas School) Saturday night with approximately 45 persons attending. Class members provided a covered dish dinner and entertainment was provided by the Accords, a local gospel group. Pictured are 1956 members back row, left-to-right: Bobby Dean Webb, Willie Floyd, Leon Alexander teacher Vance Paschal, Jr. 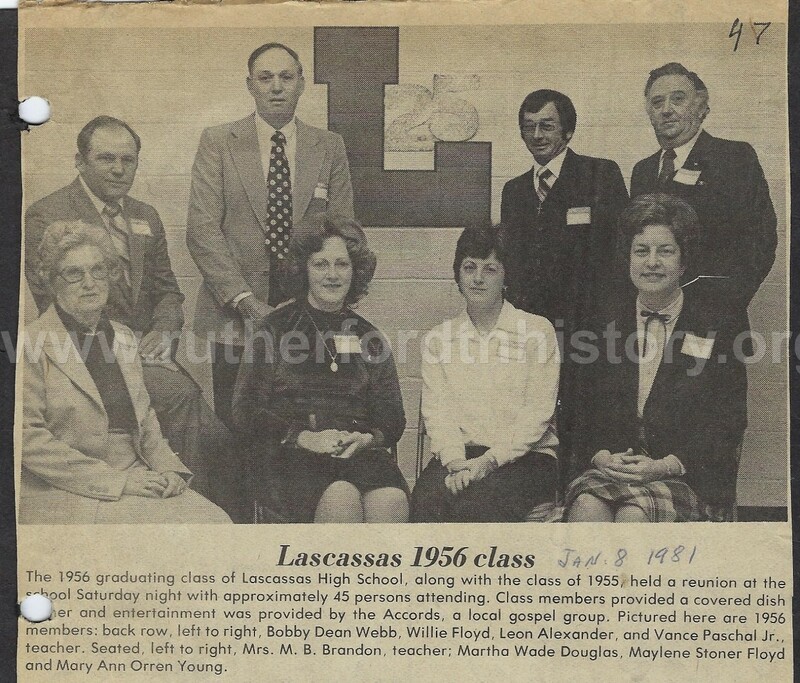 Seated left-to-right: Ben & Peggy Brown, guests; Mr. & Mrs. M.B. Brandon, teachers; Dorothy Floyd Know; Inez Stoner Graves; Claudette Hall Hamlett; Joyce Brewer Pitts.